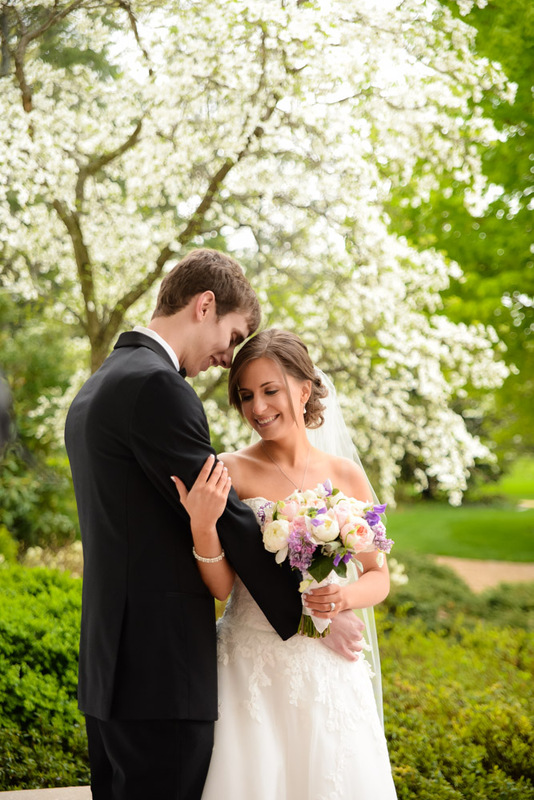 On Saturday, April 25th, Catherine & Will said their “I Do's” to each other in front of family and friends at Keswick Vineyards. 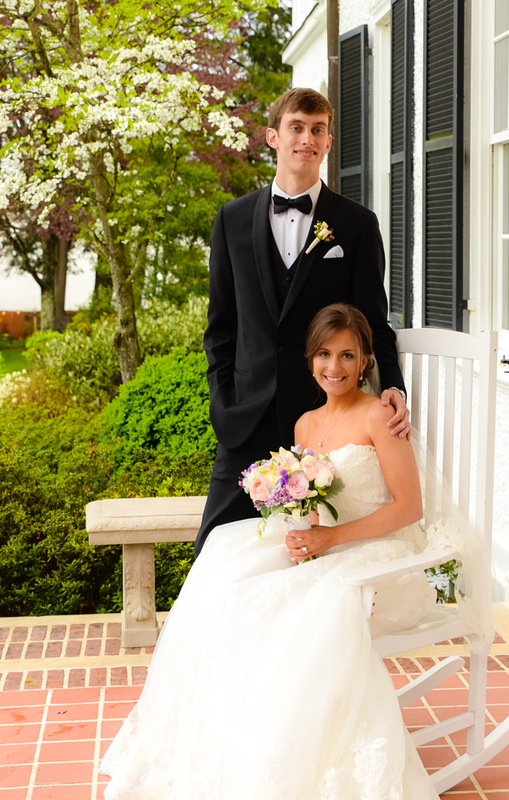 Unfortunately, the weather was less then perfect for their wedding day. 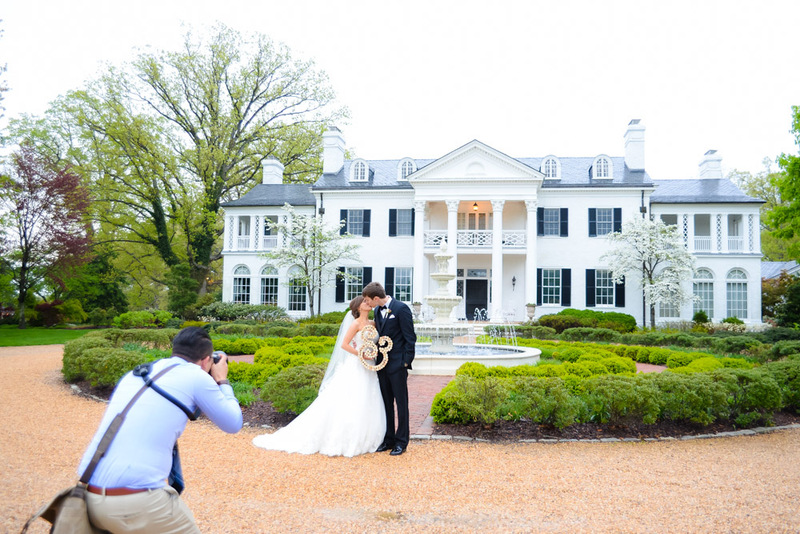 Virginia was experiencing a cold front and rain that day:( So, what do you do when you have planned for an outdoor wedding and the weather doesn't cooperate with your plans? You make sure you have a good back up plan and at Keswick Vineyards, we do so the wedding went off and they were married and everything worked out at the end. 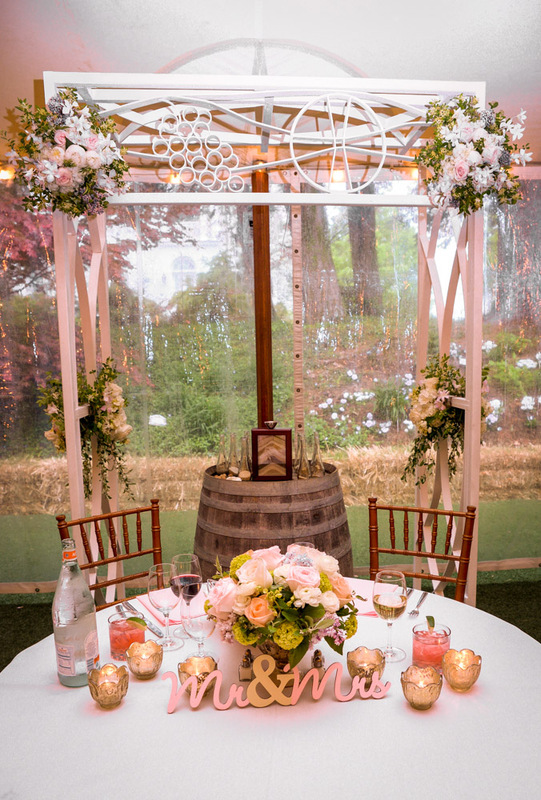 If you are going to choose to get married outdoors, you need to make sure you have that personality that can just go with the flow if Mother Nature decides not to grant you perfect weather. As you will see from my photos, everything still turned out picture perfect. 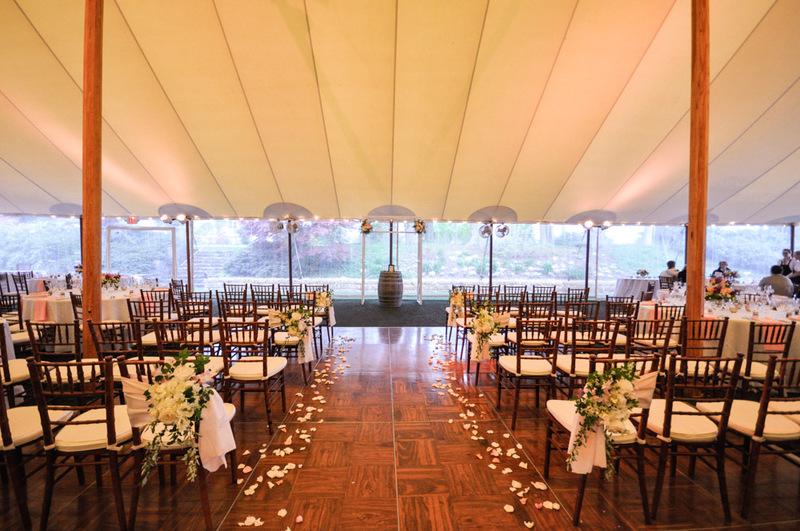 Instead of the ceremony being outdoors near the vineyard, it was brought inside under the Sperry tent. The dance floor is used to seat about 30 guests while everyone else takes a seat at a table set up for the reception. 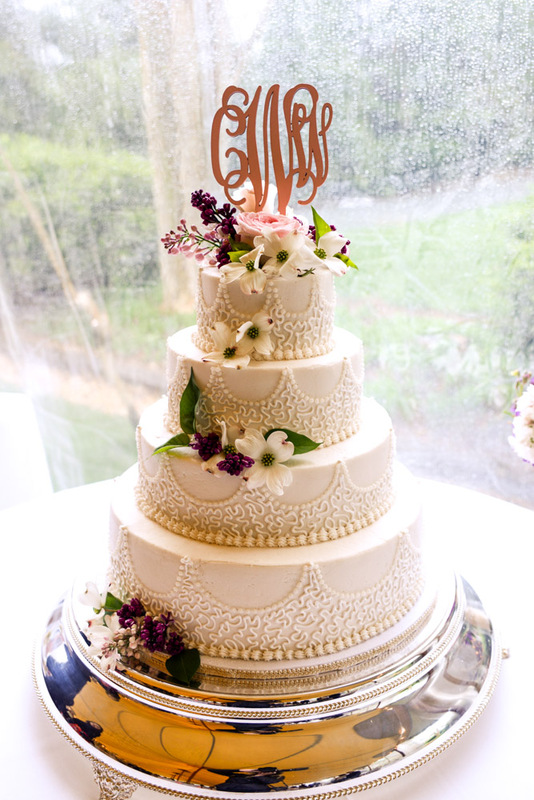 A formal aisle is present on the dance floor and the alter is set up as originally planned. On this day, the clear sides of the tent were kept on to keep the heat inside the tent since it was so cold outside. After the ceremony guests enjoyed cocktail hour under the tent while Catherine, Will and the rest of the wedding party went outside for photos in covered areas. While they were out for photos, the tent was arranged back to the "reception" lay-out and the rest of the evening went as planned. Special thanks to all the vendors that had to work a little extra for this wedding but I'm sure Catherine & Will appreciate it as much as I do: Caterer C&O, DJ John Garland, Photography by Tyler & Ashley of The Herrintons, Videography by Sarah & Justin of Lovell Productions, Blue Ridge Floral Design for flowers, Photo Booth of Charlottesville, Albemarle Limousine for transportation, Wedding Cake by Favorite Cakes, Officiant Reverend James Cobb and Musicians for ceremony/cocktail hour provided by Piedmont Chamber Players. 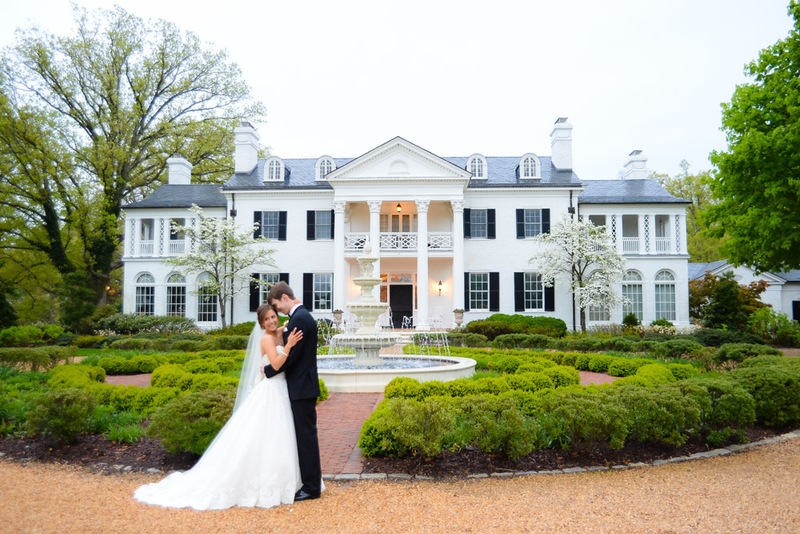 Click here to see more photos by The Herrintons and read their blog.